Sonically, "The Devil You Know" covers a lot of ground and incorporates influences from Black Sabbath to Led Zeppelin to Kyuss to The Hellacopters, all while distinctly sounding like L.A. Guns. The band is rejuvenated and inspired after relentless touring and are literally taking no prisoners. 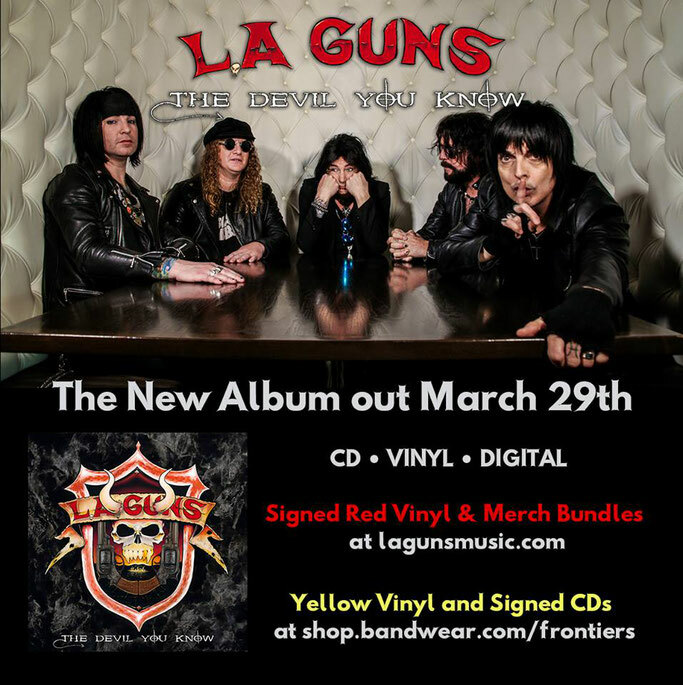 "After the success of 'The Missing Peace' a lot of people requested that the next record stay on track with the more metal side of the band's music, which is my personal favorite side of the band" says Tracii Guns. L.A. 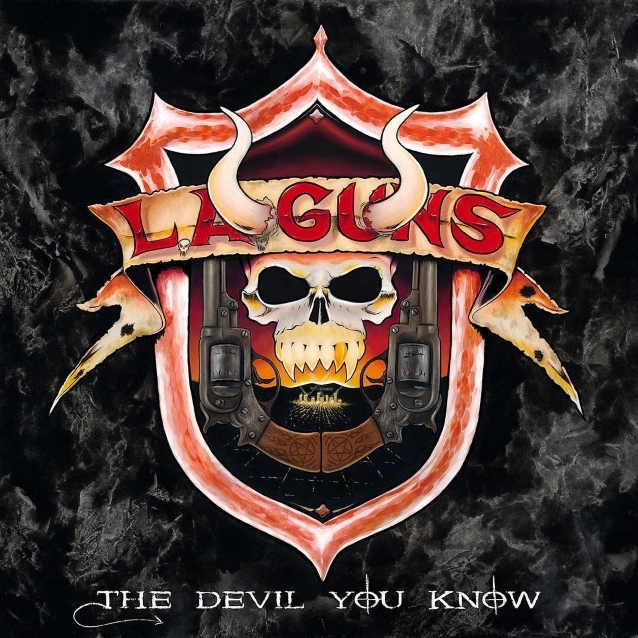 Guns, led by Tracii Guns and Phil Lewis have always delivered solid rock ‘n roll to their fans. This current incarnation of the band has been touring non-stop and the cohesiveness of the unit, not to mention Phil’s stunning and unique vocals and Guns’ mind-bending guitar playing, are on full display here. A must hear and listen for all fans of the band, both new and old!